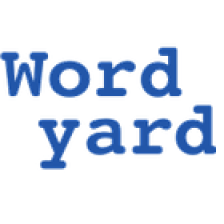 Wordyard / Personal / CMOS. CMOS run. Run, CMOS, run! CMOS. CMOS run. Run, CMOS, run! So I ordered a system from EndPCNoise.com, whose site impressed me as a source of reasonably honest and detailed information about “silent PC” products. I paid a little more money than I’d have spent on a vanilla box, but after my experience with the slow decay of my Athlon system, that seemed a reasonable trade-off for higher-quality components. I find it highly amusing that, almost 25 years since I first messed with jumpers on a PC motherboard, I’m still at it. Plus ca change… On the other hand, for under $1000 today, I have a system with a gigabyte of RAM, hundreds of gigs of disk space, and more processor speed than most of my applications know what to do with. Now I can get back to work!